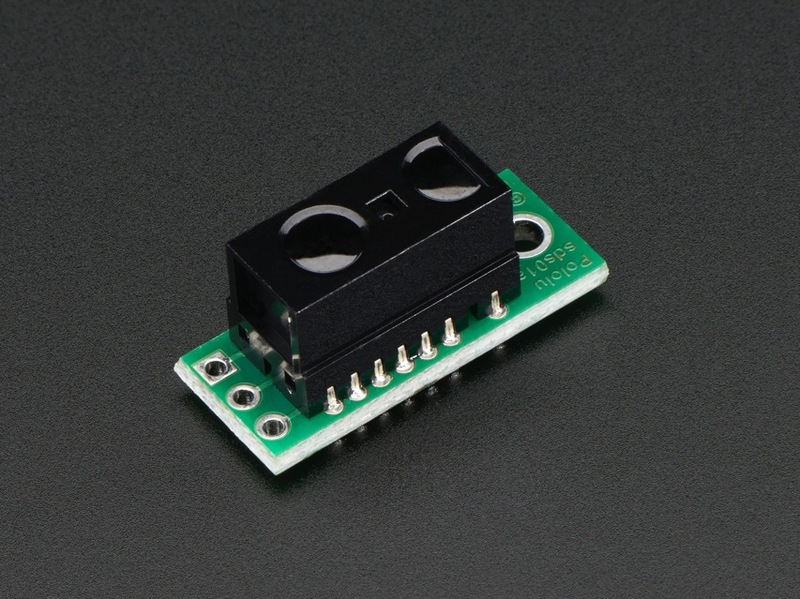 NEW PRODUCT – Sharp GP2Y0D810Z0F Digital Distance Sensor with Pololu Carrier « Adafruit Industries – Makers, hackers, artists, designers and engineers! If you’re like me, you’ve always wanted a smaller and faster way to sense an object between 2 and 10 centimeters away. If you’re really like me, you’ve wanted the sensor to come with a low current draw and on a tiny carrier board with all of the external components required to make it work. The Polulu Carrier with Sharp GP2Y0D810Z0F Digital Distance Sensor fits those both needs and more. it’s one of Sharp’s fastest distance sensors – with a sample rate of almost 400 Hz and is an attractive alternative to short range phototransistors and longer range analog distance sensors. Output is high normally and low when the sensor detects an object. This sensor only tells if the object’s nearby – not how near or far the sensor is – so they’re great for break-beam, obstacle detection, and object counting. This sensor comes with a 3-pin male header and a 3-pin right-angle male header. You can connect these pins with a servo cable. The square pad is ground, middle is VIN, and the remaining pad is output. If you place a large capacitor (more than 10uF) between power and ground you should see an increase in performance. We carry a large variety of Sharp Distance sensors here if this fellow isn’t what you’re looking for.